I help companies to get results from online marketing. Through my strategic consultancy, training and education. Startup, eCommerce or retailer? I can help you succeed in the digital world. Training & Workshops about PPC, Facebook & digital marketing for you or your team. Are you wasting money on PPC advertising? I can help you find where. Speaking of marketing, Google, Facebook or eCommerce? I'm lovin' it! in digital marketing. Agency, inhouse and freelancer. I started my business from nothing. I'm an entrepreneur as you are. I managed campaigns for 100+ companies with over $1M budget. My PPC audit safe to a client more than 50,000 AED a year! I don't just work. I deliver results. "Lukas provided outstanding support through White Friday and from our collective effort, we have broken every record and have exceeded targets!" "We reached almost 10x sales volume increase in PPC advertising during the cooperation with Lukas." "Mr. Krejča helped us in optimizing PPC campaigns. Thanks to his contribution, we have seen an increase in orders in the Czech Republic, Slovakia and Poland." 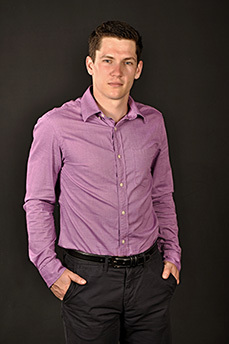 "We love how Lukas is flexible and result oriented person. He meets all the deadlines and is simply a professionalist in his field." I am a performance marketer currently on a mission of moving MENA digital market forward. Being a certified professional in Google AdWords and Facebook Advertising plus experience from campaigns for 100+ companies give me huge ammo for my mission. Currently, I lead MENA team at ROI Hunter, Facebook Marketing Partner and Google Premier Partner. Our job is to make marketer’s life easier with help of our SaaS platform and strategic consultancy. Currently, I don’t have a capacity for any freelance projects. How to optimize your Facebook Advertising Bidding? If you want to optimize your Facebook Ads campaigns you need to work with bidding, budgets, targeting or creatives. In this article I am going to show you ho to edit your bids to achieve better results from your Facebook Advertising.